INDIANAPOLIS — The Aging Brain Care Medical Home, a novel brain-focused population health management program implemented in the homes of older adults, lowered depression severity by more than 50 percent over six months according to a new study from the Regenstrief Institute, Indiana University Center for Aging Research, IU Center for Health Innovation and Implementation Science, and Eskenazi Health. The ABC Medical Home program utilizes a trained and scalable workforce of care coordinator assistants with at least high school educations as the core of interdisciplinary care team of nurses, social workers, and physicians responsible for meeting the complex biopsychosocial brain-care needs of older adults. “Response to Depression Treatment in the Aging Brain Care Medical Home Model” is published online in Clinical Interventions in Aging, a peer-reviewed open access journal. The implementation study provides strong evidence of the sustained effectiveness of the ABC Medical Home program at inducing depression remission employing a workforce that develops long-term relationships with the patients through home visits and telephone contacts. The more than 50 percent decrease in depression symptoms occurred in individuals with high levels of these symptoms. While women experienced improvement sooner than men, there was no gender difference in symptom diminution at the end of six months. In older adults with low levels of depression, depression scores remained low over time indicating that the care model prevented depression symptoms from recurring. “The heart of the ABC Medical Home model is collaborative care. 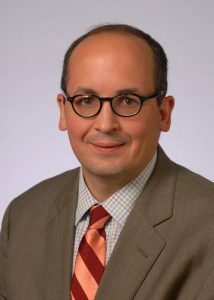 We are working in conjunction with the primary care physicians to provide these patients the level of care that they need,” said Dr. LaMantia, a former Regenstrief Institute and IU Center for Aging Research investigator who recently became Section Head of Geriatric Medicine and associate professor of medicine at the University of Vermont College of Medicine. The ABC Medical Home program is centered at Eskenazi Health, an academic, urban, public hospital, at 10 community health centers located in Indianapolis, and in the homes of patients who receive medical care at these facilities. Co-authors of the new study in addition to Dr. LaMantia and Dr. Boustani are Debra Litzelman, MA, MD, of the Regenstrief Institute and IU School of Medicine; Sujuan Gao, PhD, Mary Guerriero Austrom, PhD, and Ann Cottingham, MA, MAR, of the IU School of Medicine; Anthony J. Perkins, MS, of the IU Center for Health Innovation and Implementation Science and the Indiana Clinical and Translation Sciences Institute; Cathy Alder, JD, MSW, of Eskenazi Health; and Dustin D. French, PhD, of Feinberg School of Medicine, Northwestern University and Veterans Affairs Health Services Research and Development Service. This work was supported by grant 1C1CMS331000-01-00 from the Department of Health and Human Services, Centers for Medicare & Medicaid Services. The contents of the published study are solely the responsibility of the authors and do not necessarily represent the official views of the U.S. Department of Health and Human Services or any of its agencies.